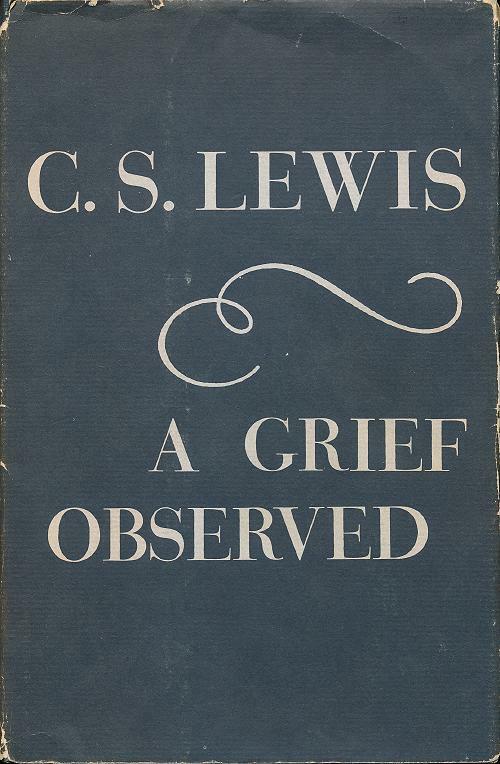 A Grief Observed is the journal C.S. Lewis kept after the death of his wife, Joy Davidman. It was published pseudonymously in 1961. 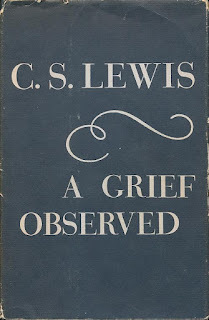 His faith was shaken and unlike an earlier book, The Problem of Pain, in which he attempts a logical argument explaining how suffering happens in a universe created by a good and loving God, this is an account of an emotional response to loss. I first discovered the book in the bookstore of what was then known as Nyack Missionary College during a Seventh Day Baptist General Conference there in a summer in the 1960s. The book is very short — only 60 pages — so quickly read that I was able to recommend it to others that very week. One of the responses I got was particularly disappointing: "But it doesn't give an answer." And truly it doesn't tell us why God allows suffering — but neither does Scripture. The book does lead us vicariously through an experience that each of us has had, or will have. It gets better — Lewis didn't lose his faith in God or in God's goodness. It is, I think, one of the best books for those bereaved.